Somehow I managed to get through my three major essays due this week! It was a rough one, but as always, I looked to a book to help motivate me! This week’s reading was perfectly up to that task! 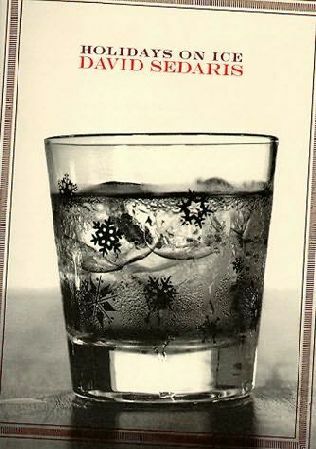 Our 14th book of the challenge, this week I picked up Holidays on Ice by David Sedaris. Listen – this book is a winner! It’s intensely funny! Sedaris has a way of writing from the heart (and the funny bone). His writing style is easy to read, and his observations are astute. I had so much fun reading this book, and could not put it down. This book would make a great holiday related read for anyone on your list this year – it’s a little bit naughty, and a little bit nice. I dare you to try to read this one out loud without laughing hysterically! I would recommend this book to anyone (over the age of 18) who needs a smile this holiday season, and desperately needs to escape the sugary coating we give to live this time of year! Did anyone else read Holiday’s on Ice this week (or ever before)? Have you ever read anything by Sedaris before?